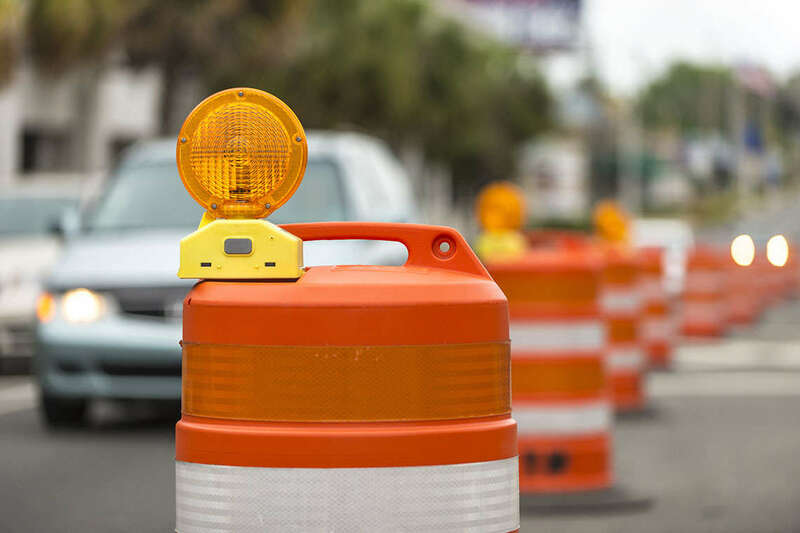 The Florida Department of Transportation began work this month on a two-year long, $46 million project that will widen the stretch of Nine Mile Road between Escambia and Santa Rosa counties, add sidewalks, and improve drainage systems. While the plan aims to improve safety on the road for the 19,000 Pensacola drivers who use it every day, navigating Nine Mile Road during the nighttime lane closures poses dangers of its own. The project is part of the department’s effort to alleviate traffic problems along the road between County Road 99 (Beulah Road) and State Road (U.S. 29). Slated for completion in early 2019, construction will cause lane closures along this stretch of road between 8 p.m. and 6 a.m., weather permitting. Officials have high hopes that the road widening will eliminate traffic issues in this area. “We’ve been working for 20 years to fix the traffic and gridlock in the Beulah community […] and these improvements will ensure our success,” District 1 Escambia County Commissioner Wilson Robertson told the Pensacola News Journal. It may be months before the community sees improvements, therefore drivers commuting during off-peak hours may still face congestion due to lane closures and reduced speed limits. With that in mind, here are some safety measures residents should keep in mind while commuting through Nine Mile during nighttime construction. If you have a destination in mind with a time restraint attached, plan ahead. Things can get unpredictable, and even frustrating, along a thoroughfare undergoing major construction. Check for planned work zone delays and other traffic advisories prior to leaving home by checking the project’s Facebook page. If the lane closure and slower speed limits puts you in a tight spot, search for safe, alternate routes that will get you to your destination or allow yourself additional travel time when leaving for your destination. Slower speeds means that checking your phone once in awhile is safe, right? Wrong. Getting caught up in whatever’s going on on your phone could land you in a [rear-end collision]*(/pensacola/car-accident-lawyers/). The U.S. Federal Highway Administration has found that rear-end crashes accounted for 38 percent of crashes in active work sites with lane closures in 2013. It’s not just about your phone, though. AAA also urges drivers to refrain from playing with their vehicle’s entertainment and temperature systems and ignore passengers who are distracting you. If you must use your cell phone, it is likely best to wait until you are completely out of the work zone to pull over and use it. Beyond rear-end collisions that make navigating construction sites even more daring, there is the more serious risk of hitting construction workers. There are some key things drivers can do to avoid car wrecks and keep construction workers safe. FDOT emphasizes that drivers obey the posted work-zone speed limits, stay alert, and pay close attention to signs and flaggers. Because construction workers may need to step in front of traffic to do work or change traffic patterns, it may be difficult to anticipate or see them, especially at night. Violating the speed limit may result in hefty fines: Florida doubles the original fine for speeding in the area if you’re caught speeding in a work zone, according to the Governors Highway Safety Association. All in all, there are many crashes in the nation’s work zones in a given year. In 2013, for example, there were 67,523 crashes, according to the latest data from FHWA. By being safe when driving in a busy construction zone at night, you could avoid adding to that statistic. The Nine Mile Road widening project could help alleviate some traffic woes Pensacoladrivers face today. But until the project is completed, various accidents might still occur on this stretch of road and others. For more information on what steps to take if you’ve been injured in a crash, visit our guide on car accident) claims and learn what an attorney at Morgan & Morgan can do for you.